The ways and customs of the people of the Kingdom of Camerina were different from those of Castle Keep, Anne was reminded of that everyday and tried to adjust to her new home as good as she could. Still, she didn’t want to lose her heritage and all of her customs and she wished her children would also learn the ways of the Kingdom of Camerina. So once in a while, Anne made sure to cook a meal from her home lands, or put up a decoration or follow a specific tradition, all to keep her memories alive. As a fisherman, William had seen and tasted many different things, so he was quite open minded to all Anne’s traditions and enjoyed her foreign cooking. Being in the entertainment industry, left little time for William to fish, but he took every opportunity he could to sneak out to the beach behind their house and do some fishing. Not only did he dream of displaying the perfect aquarium, fishing was necessary for them to survive. Their mare Uma took the time to gallop around along the vast beach. 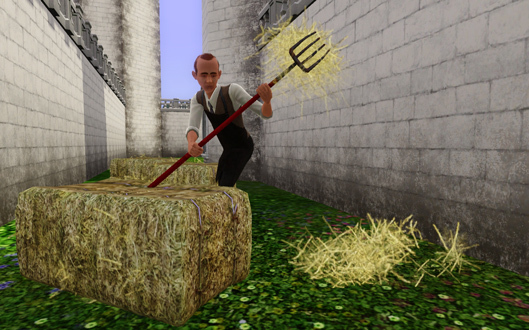 Being a peasant in Castle Keep was all about hard work, when she wasn’t working at the health center she was taking care of the house or helping William to prepare himself to go out fishing. Anne took all the opportunities she could to follow her husband and help him out to get a good catch out at sea. She loved learning about new things and fishing was very interesting. However, the long days took their toll and she tried to recover by taking small naps here and there. 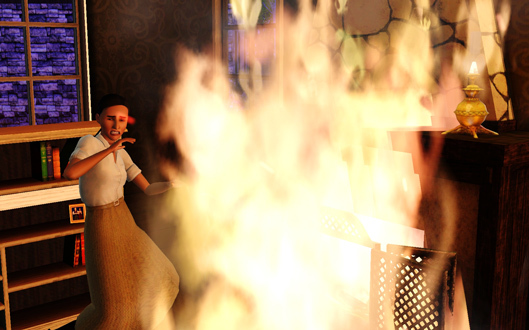 One day, when William was out at sea and Anne stayed home to take care of household chores, a fire started in the fireplace and their house almost burned down. Anne was very lucky that a neighbor saw the smoke and came to help her out, she could’ve died from the fire. The damage to the house was not very large and she came out without a scratch, but she got quite scared. Fires were common in Castle Keep and many people have lost their lives to them. When William returned and heard about the ordeal he was very alarmed, the thought of losing the love of his life, the beautiful Anne, so young, would tear him apart. They comforted each other in their arms, life was truly precious and fragile. With Mark away at the city garrison from dusk till dawn, Mary had to fend on her own. Everyday before leaving for the Crossroads Pub where she worked as a waitress, she made sure to tend to their patch of land so their produce would be great and feed them through the winter. She would make sure to feed and care for their horse Pino and in the evening they rode to the pub where he waited patiently for her to finish her shift. There was no task too difficult or disgusting for Mary, she knew that their home was very simple, she had been to Lady d’Angerville’s castle and seen how well some people lived. Their furniture was worn and dated, they basically made a home from things they found on the streets or that some relative had given them. Still, it was crucial that everything was kept well and if anything broke, it was important she knew how to repaired it right away, since there was no money to be spared in this household. In the evenings when Mark was back from the garrison and Mary returned from her days work at the pub, they both would lay in bed and converse about their day. They both had to get up at the crack of dawn but they still made time to be together and love each other. Soon enough Mary woke up one morning and realized that she was pregnant, Mark, whose life time dream was to raise 5 children was delighted. He left for work singing and jumping of joy. Although Mary was very happy to know that she was to have Mark’s love child, she knew that times would get tough. She had been raised in a house with 9 children, with little to eat and not much room. Until now she and Mark had managed with what little they had because they were only two, but with more mouths to feed, there was more work to do. Better to take the opportunity and relax while she could. Elmer Wall was rapidly creating a good reputation as a private eye, if it was because people felt Castle Keeps justice system wasn’t sufficient or to avoid a public scandal, the residents of the town came to Elmer more often than not. He was very discreet, although he didn’t fear to use unusual means, and until now, he had not left one case unsolved. Business was good, and surely, the Walls would make a fortune if things kept up this way. At home, Lecie had seen better days, she had been raised doing practical chores, taking care of the animals whom she loved or playing the piano and diverse instruments in her home, but as a wife, she struggled. Still, she was determined to make a good name of herself as a matron of the house and there were no burned waffles that would scare her off. With all that there was to do, there was little time to play any instruments, but hopefully she would find some time soon. Even with Bonnie, Lecie encountered problems, the mare had a small accident where Lecie fell very awkwardly and although she wasn’t injured, she had become quite fearful of riding again. It seemed like she had to learn how to ride all over again, but as her father had taught her, she should just mount the horse again quickly and not let the fear evolve to a phobia. One day, Lecie realized she was with child and ran quickly to tell Elmer. They celebrated in joy of what the future brought them and prayed to The Watcher that the child would be healthy and that Lecie would do well. With Lecie pregnant and taking care of the home Elmer took over the duties of caring for Bonnie, she needed to stretch her legs and go out for rides daily and since the doctors did not recommend pregnant women to ride, Elmer had to take care of it. The two became very fond of each other, almost so that Bonnie preferred him before Lecie, but better not mention it to Lecie or she would be sad. While noble women may have time to rest their tired feet or their aching backs while pregnant, that was not the case for Winifred Potter. Not only was she a no-fuss woman, she had no time to rest, the bills had to be payed and no fortunes would be granted to the lazy. Furthermore, she truly loved her work, creating, whether it was with the brush or clay, was something she just couldn’t live without. 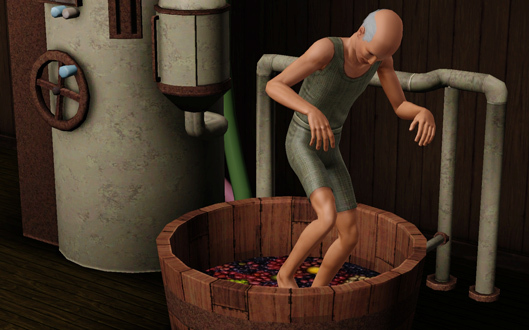 A hot summer day, little Tilton was born, he was born friendly and brave, two superb traits for a merchant. Osmond and Winifred were sure he would accomplish great things and make them proud. Taking care of the baby sure made Winifred tired, he would wake up several times in the middle of the night and she was often quite exhausted. There was little time to work on her crafts, making their income suffer. Still, it was all for a good cause, they were sure Tilton would bring them great fortunes in the future. While Winifred took care of the baby, she was a strong and devoted woman his wife, Osmond would spend his evenings reading up on current events or interesting novels or scientific papers, all to make sure he stayed á jour and thus was able to perform his profession as a journalist in the best of ways. It took a lot of time to keep the mind sharp and Osmond took his profession most seriously. Osmond noticed that Winifred wasn’t always as lively as she used to be before the baby was born, still they did have some little time for passion. One morning she woke up nauseous and they both knew instantly what was happening, probably a new baby. Winifred almost broke down in tears and while Osmond was utterly confused by her reaction, she explained that she was just so tired and having another baby was a lot of work. It had never occurred to him that she may have been in need of his help, he always just assumed that she wanted to show everybody that she managed to take care of Tilton on her own, like all mothers did. Carefully, he offered to help out much more with the children, they would surely manage it together. Then, she smiled at him and dried her tears. The mare Victoria also had a baby, Winifred and Osmond had been so concerned about little Tilton, that they barely noticed that she was due. 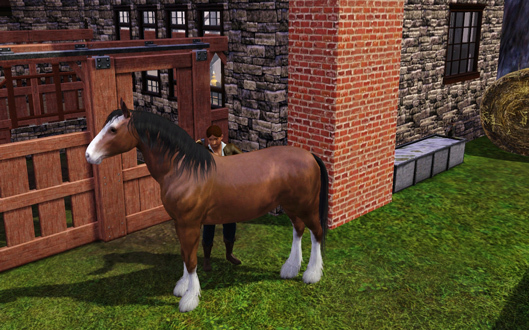 She gave birth to a little foal that they named Victor, although he was a bit clueless and untrained he was obedient and would make a good work horse. If you want to get somewhere in life, even a lady of the highest class, has to get her hands a little dirty from time to time. And Lady Vaughan is not the one to hesitate in doing so. She had been working for quite some time with inventions for the Castle Keep Observatory, but the demand for new equipment had gone down after the end of the 50 years war. With more time on her hands she decided to pursuit some ideas she had had since childhood, it was all very secret of course, not even lord Vaughan knew about it. Lord Vaughan wasn’t too worried about Lady Vaughan’s inventions, he had his own little project to think of. As the King’s scientific advisor he had been asked to start a cooperation with the wizards from the Circle of Magic. Bruno and Bianca von Oz had a grand collection of books that surely needed to be scrutinized for the benefit of the Kingdom. A project that would certainly put all the household plans on hold was of course the announcement that Lady Vaughan was pregnant. The couple rejoiced in the idea that soon they would have someone to follow their steps and to teach all the accumulated knowledge of the family. 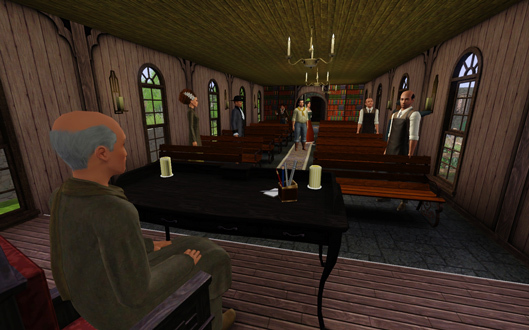 While the Vaughan’s were sims devoted to scientific knowledge and the pursuit of the mind, they were not unfamiliar with taking care of their spiritual needs. Lady Vaughan requested a hearing with Peter the Diligent at the Peteran Monastery. The two had always been very close and had been friends since childhood. Seeing that Lady Vaughan was pregnant Peter took the opportunity to request that the Vaughan’s would at least send one of their children to the monastery. Seeing that her lady was pregnant and that the rumors in town would spread like the fire, Thea de Servant decided to meet with her brothers to enter a pact. Since they all worked for the most distinguished households of the Kingdom, who were prone to be the most gossiped about in town. If the de Servant siblings were to stay faithful to their masters, they could not go around spreading rumors and such. The three agreed that they should all be very careful about what they told each other of their masters. However, all left the meeting thinking that maybe, just maybe, they could be the one to benefit from a little more knowledge about the other households. Lady d’Angerville was rather content that her nectar cellar was coming along delightfully. She had a special talent for composing distinguished flavors and her nectars were gaining popularity in town. She kept them in a dark locked cellar below ground and kept the key well hid in her bedchamber. Lady d’Angerville forged her plans for the grand future of the family, and the nectar cellar, was just one steppingstone to greatness. Like the nectars that increased in value with time, the family would gain power in Castle Keep, soon enough. Everything that lady d’Angerville undertook to accomplish, was done with a high level of perfection. Even when it came to conceiving she had made meticulous calculations and as she predicted, she woke up feeling nauseous on the given day. Lord d’Angerville, however, wasn’t as devoted to his undertakings as his wife, but he made sure to fulfill her wishes, since they always turned out to an advantage for the family. 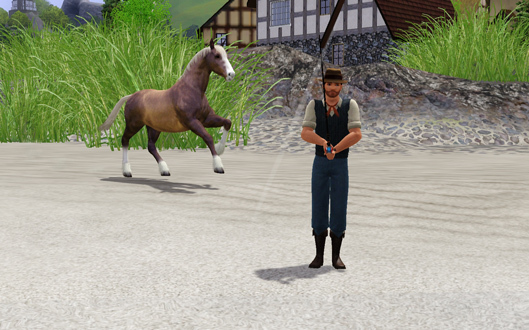 As a rather uncomplicated sim, he was happy to have his free time and eat well and drink good nectar. Lady d’Angerville had decided they should breed their mare Sierra, and off he went to breed her with the best stallion in town. Under the scrutiny of his most perfectionist lady, Thomas had to work hard to keep her satisfied. Although he enjoyed the garden and the outdoors, he worked long hours to maintain the garden and take care of the rest of the chores of the household. Still, he was devoted to his lord and lady and happy to see the d’Angerville family rise in power. Lady d’Angerville had requested a most difficult task, however, it was to find out everything he could about The Royal Family, through his brother John. But his brother had been very quiet about the events at the royal castle lately and he wasn’t able to deliver any interesting news to his lady. 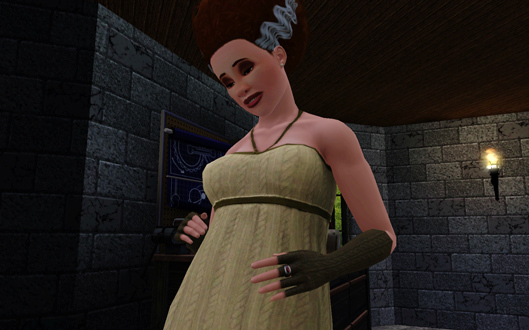 As predicted, lady d’Angerville was pregnant, and everything was going according to plan. When lord d’Angerville found out, he expressed his wishes for an heir immediately. However, lady d’Angerville was quick to remark that a daughter, could be even more advantageous as a first-born, since The Royal Family would be looking for a mate for the future heir. The Sunday mass at The Peteran Monastery was certainly attracting many sims, the hall was not completely full, but then again Castle Keep had lost many lives during the 50 years war. Peter the Diligent made an effort to hold fascinating sermons to make sure they would come back next week. After mass he would socialize with them and remind them that devoting their life to The Watcher on a full-time term was always an option. Unfortunately, The Monastery was still empty, Peter had not been able to recruit one single monk or nun to join in the holy path. At night, alone in his chamber, he would think over how he was to recruit someone. It was a time of despair for the Peteran faith, would he die the last monk? Had The Watcher left him and the Kingdom of Castle Keep? 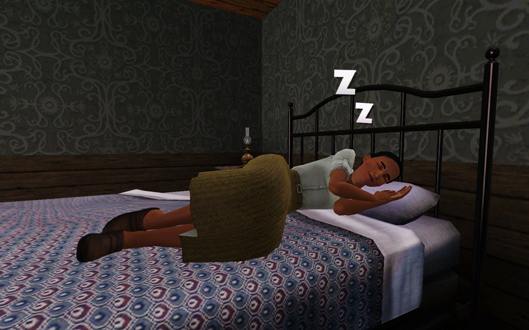 It might be that the sims of Castle Keep were too merry these days, the fear of the war was gone and with it the fear of The Watcher. 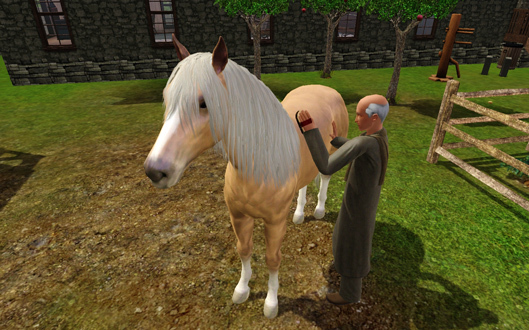 To his comfort, at least he had Petra the Horse, who was loyal and friendly, and would keep him company in the garden. Admittedly, Peter was getting old, and he could not cope with all the things that had to be done at the Monastery. There wasn’t much time, but he had to endure and keep faith in The Watcher. One morning he decided he would take things in his own hands. Instead of waiting at the Monastery for someone to show up, he would go out and seek recruits. Sure there had to be someone that would like to devote themselves to The Watcher and enjoy the intellectual life of reading and writing. He went straight to the Royal Castle and asked for an audience with the King himself. Edmund I, was always happy to receive the priest and welcomed him warmly. At length they talked and Peter the Diligent told him the situation at the Monastery, and the state of his own health, if he didn’t get any help soon, everything that he had worked for would go under. Hearing the priest, the King became anxious, this was indeed a most troubling situation. 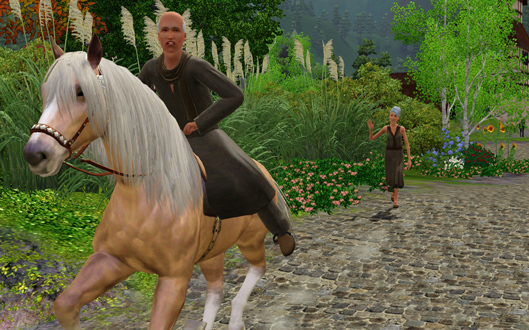 Maybe there was a way for him to help, he decided that one of his children would join the monastic life and he would encourage the sims of Castle Keep to do likewise. 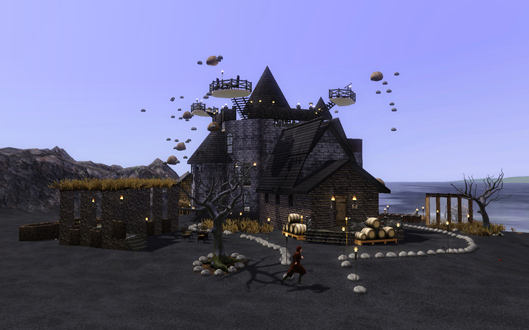 The times of peace brought a whole new aspect to life in Castle Keep, gone were the days of fear and insecurity. 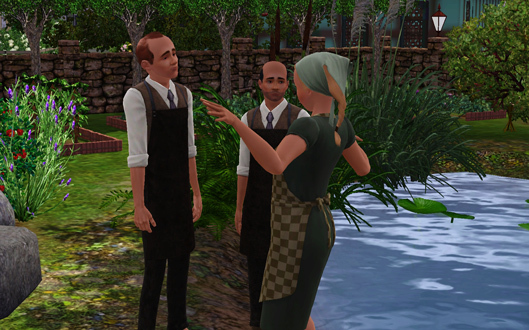 The new tranquility gave the Royal Couple a perfect opportunity to get to know each other and their Kingdom. It was young love, as it should be, careless and beautiful. Queen Eleanor I, advised by her relatives in the Kingdom of Othirer, was determined to make a good impression on the subjects of Castle Keep. It was of utmost importance that the peace treaty between the kingdoms was followed and that the relations were prosperous. 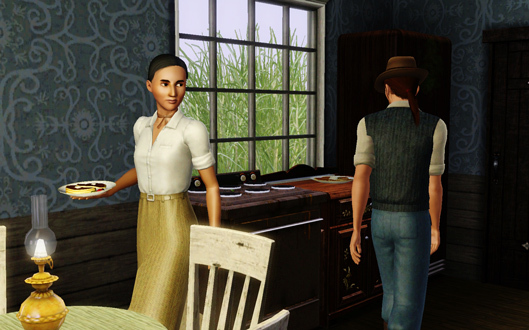 Although she could feel a bit insecure about herself, it seemed that the sims of town liked her. She wasn’t the most gracious Queen they had had, and more on the clumsy side. But there was something very agreeable and approachable about her. 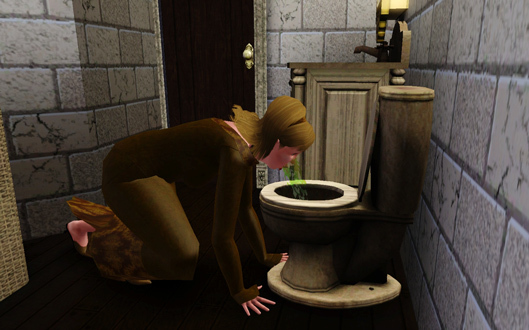 Like a blessing from The Watcher, Queen Eleanor I, woke up feeling nauseous one night. It could be the large feast she had eaten the last days, following the coronation ceremony, but she certainly hoped it wasn’t a regular indigestion. She decided to keep the matter to herself to not wake false expectations with the King, but nothing went unnoticed in the Royal Castle, that was for sure. There was little about the Royal Family, that the clever head of the household, John de Servant, did not know. He had to only clean the Royal bedchamber to notice the signs, the Queen was most likely pregnant. Further more, he noticed that she didn’t intend to share the news with the King. John’s siblings, working for the two noble houses, had already started questioning him on behalf of their masters about the Queen’s condition. 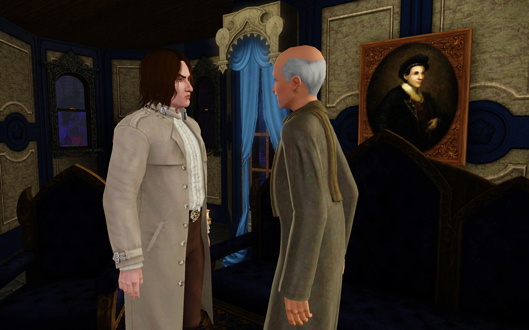 But the times had changed in Castle Keep, and John wasn’t sure if the information was safe to be shared, the old loyalties of the Royal Family could be questioned. He wasn’t sure what to make of the new Queen, but decided to keep the information to himself, time would tell who was friend and who was foe in the times of peace in Castle Keep. Soon, the matter was obvious to everyone, the Queen was pregnant and King Edmund I was delighted, this must surely mean an heir to the throne. A gathering was held at the Royal Castle to announce the pregnancy and to celebrate the Queen for her outstanding performance. Of course, everybody who was of any importance in Castle Keep was surprised that such vital information hadn’t reached them earlier. John de Servant may well be making himself some enemies, but he was loyal to his King and Queen, that was of the essence to his role in the Royal household.